We will not push for production capacity growth without keeping a close eye on the direct climate impact of our refining. Neste is committed to help its customers reduce GHG emissions by at least 20 Mt annually by 2030. Together with Air BP we are able to support air transport in Sweden in their efforts, and this collaboration gives both of us valuable insight into developing similar supply chains to decarbonize aviation in other markets. We firmly believe that our innovative joint projects will improve the competitiveness of the Finnish chemical industry. Finnish chemical industry know-how is already world-class and I believe that together with Åbo Akademi University we get to make the most out of our strengths in a new and inspirational way. Demand for cleaner fuels is on the rise globally, and California is a leader in the movement toward an emissions-free future. Neste MY Renewable Diesel helps meet environmental needs without compromising performance. Fossil-free future requires changes in our everyday lives, and in our mindset. As part of Zero Island project, we wanted to show people they can have a world-class vacation with as little emissions as possible and without flying to the other side of the world. We need forerunners and courageous countries to lead the way in sustainable growth of aviation. I want to congratulate Sweden - it has set the bar very high on what comes to aviation emission reduction by using renewable jet fuel. While we continue discussing various future alternatives for reducing transport-related emissions, high-quality renewable fuels such as Neste MY Renewable Diesel™ continue to steadily reduce transportation-related emissions even as we speak. The current year largely determines whether the increase of CO2 emissions from aviation can be halted by 2020. Any increase in air traffic must be carbon-neutral after that also, which means that we need to find long-term solutions. Our low-emission solutions are our greatest contribution to the global efforts to combat climate change. In 2017, our renewable products helped our customers to reduce global greenhouse gas emissions by a total of 8.3 million metric tons, and we aim at even higher reductions. Our ranking shows that Neste has continued to develop its sustainability in the right direction and that our employees are very passionate about helping to create a healthier planet for our children. Together with ScanOcean we will be able to give our customers both professional and local solutions. 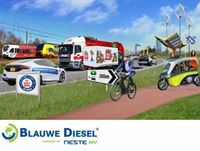 The user of a renewable diesel can expect a clear greenhouse gas emission reduction even when the comparison is made with locally available, high-quality conventional diesels. They’ll start to see cleaner filters, fuel injectors that last longer, less wear on fuel pumps, and no microbial contamination. Their maintenance savings really have just begun. We are happy that our good collaboration with Borealis continues and we are able to deliver continuous added value to our customer. I have been lucky to spend my childhood in Finland, where I was able to enjoy the four seasons of the year. After becoming a father, protecting our planet and combating climate change has become a priority to me. I want to do everything in my power so that my child will grow up in a clean environment, like I did. This is a call to all my fans to do their share. Our collaboration is set out to challenge people to make responsible choices every day by transforming their mindset. #DontChoke communicates that we shouldn’t choke in front of big challenges, whether they face us on the court, or off it. Instead, we have to be courageous and goal-oriented to make better, sustainable choices. In 2017, Neste MY Renewable Diesel reduced global climate emissions by 8.3 million tonnes. This is equivalent to taking more than 3 million fossil-fuel cars off the roads or making Latvia car-free for over three years. We are very happy to be able to offer this high-quality product also in Riga. This clearly indicates that the European Union takes climate change seriously, and it has ambition to increase the use of renewable energy in transport. Our operations at Helsinki Airport are carbon dioxide neutral. Next we will aim to achieve the same in our airports in Lapland. Using Neste MY Renewable Diesel as our vehicle fuel is a key part of our climate program. We are delighted to be able to extend our cooperation with Finavia and help it achieve its goals. Diesel vehicles can switch to using Neste MY Renewable Diesel without having to make any changes to existing engines. With this cooperation with CLG our target is to deliver to our customers complete operator training solutions and bring added value to our customers by providing a total solution jointly with CLG. 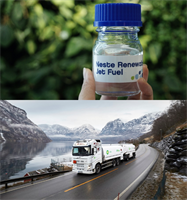 I’m confident that Neste MY Renewable Diesel is not only providing a better fuel solution to Ecology’s fleet, but is also delivering a distinct advantage to significantly decreasing their environmental footprint. Jeremy Baines, Vice President of Sales, Neste US, Inc.
We and other companies which produce renewable fuels need clear policies and predictable forecasts, if we are to secure new investment and increase production, which is required to significantly reduce emissions from the transport sector and achieve our climate goals. Collaboration marks an essential step forward in Neste’s quest to become a preferred partner as a provider of sustainable chemicals solutions for forerunner brands. With Neste, we can progress our goal to become a true sustainable solution provider in the additive market. We are constantly striving to reduce our environmental impact, and we want to play our part in combating climate change. That is why we chose to introduce cleaner transportation and Neste MY Renewable Diesel to our business. Switching to renewable diesel will help us reduce our greenhouse gas emissions by as much as 90 percent compared to the emissions from conventional fossil diesel. Cutting edge research and development are at the heart of doing at Neste, which is why it is no wonder our talented professionals receive recognition on a global scale. Working together, we can find the best ways of developing robust supply chains to ensure that renewable jet fuel is more widely accessible. The overall purpose of the projects that the research portfolio includes is to improve the competitiveness of the Finnish chemical industry, and, indeed, of society as a whole. 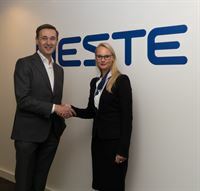 Aalto University and Neste have long been partners, but this strategic cooperation model and new research portfolio open the door to an entirely new kind of collaboration. The signal Norway's regulation sends to other countries and markets is important. 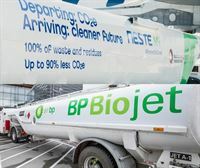 This will create the necessary predictability for Neste and other producers to boost their production of aviation biofuels. We share the same vision for the future, and we are devoted to developing Neste Demeter’s business further. I am glad that the co-owners trusted us to be the best partner in taking their business to the next level. Over the past months we have gained tremendous knowledge around developing renewable jet fuel supply-chains which complement existing airport infra and operations. We are looking forward to leveraging this knowledge in the future collaborations. I believe that this cooperation can accelerate the needed development and commercialization of waste plastic based products. We are very happy to see Vista Unified School District make the switch to Neste MY Renewable Diesel, and pleased to hear about the great results they have already experienced. With our strong legacy in raw material and pretreatment research, we are in a unique position to introduce waste plastics as a new raw material for fossil refining. Through co-operation we have been able to for several years now reduce the greenhouse emissions of festival electricity as well as offer festival goers a better festival experience. 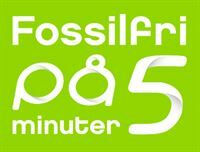 We are delighted to be part of the Fossil-Free Friesland movement, and to support the Elfwegentocht event in reaching its fossil-free targets. We believe that many of the sustainable solutions of the future are based on lignocellulosic materials from the forest. As far as we are concerned, Treesearch is one way of raising the pace of innovative efforts to find alternatives to fossil raw materials. IKEA is the first company to benefit from the developed supply capability that helps companies and brand owners towards replacing fossil-based raw materials with sustainable bio-based raw materials. 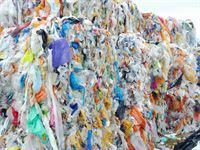 No one has ever before been able to produce PP plastic from a fossil-free raw material other than on a laboratory scale.